A beautiful addition to a shipboard or home library! A4 hardback extending to 256 pages with full colour photography and illustrations. 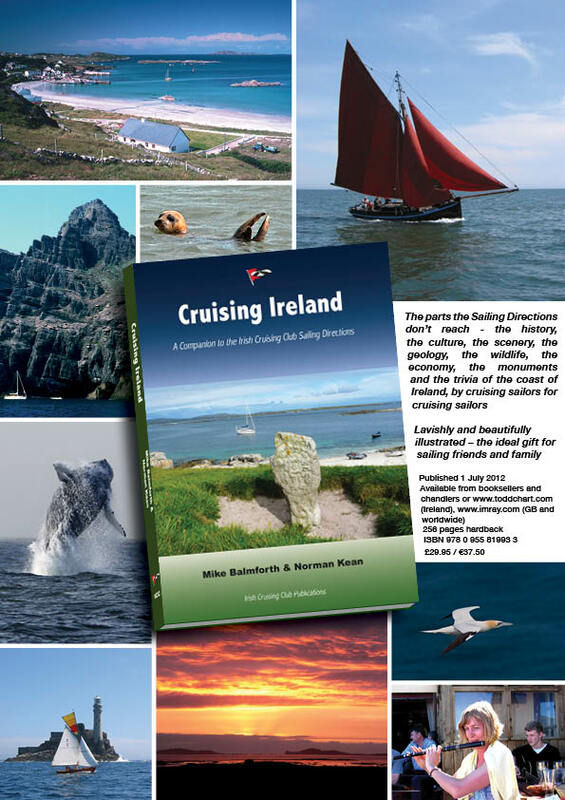 Perhaps the best aspect of Cruising Ireland is the lavish photography and stunning imagery of the spectacular coast; the pleasing layout clearly connects graphic images with text making the pages come alive. It is so beautifully produced that it can easily enhance any coffee table, not just those of sailing enthusiasts. 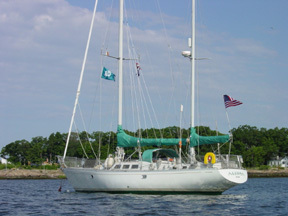 Yet, any sailor contemplating a cruise to Ireland’s shore would want to have a copy along on board. Noteworthy are the images of the anchorages, mooring fields, and piers that show the reader exactly what to expect visually upon arrival. Tim Severin, who sailed his currach Brendan from Ireland via Iceland to Newfoundland, tracing St. Brendan’s route across the Atlantic, wrote an apropos foreword. 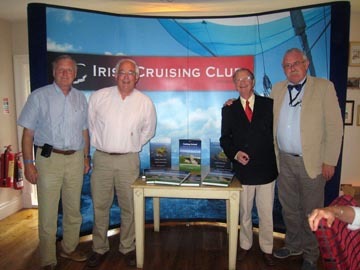 He thought himself rather knowledgeable about the coast of Cork; until that is he read the relevant section of Cruising Ireland. He learned that he had overlooked all manner of interesting diversions. Cruising Ireland is making him look at it all anew. That caused me to charge immediately into the part covering our local section of the West Coast. I was convinced I would find that it remains a well-kept secret. But to my chagrin, I found that all manner of secrets about the treacherous shores, the bountiful seas, and the enticing lore were revealed among its pages. There is even a photograph of a sailboat transiting Joyce’s Pass inside Slyne Head, about as close as most of us will ever get to it! Having just visited several islands off the coast my memory was still fresh; I found the detail about sailing the remote islands and life ashore to be remarkably accurate. Tucked in among the current factual discussion are sidebars set off in green that take delightful side journeys into historical accounts, nautical past, and folk lore of the region. All together, the book presents a well thought out, researched and presented look at what this magnificent coastline and country offers to the cruising sailor to explore and experience.